The French gas and power group is decluttering its complex structure by exiting 20 markets. Engie’s state ownership and Belgian nuclear albatross act as a brake on activism, but won’t always save it if its undervaluation lingers. Still, steps to close the gap with big wind and solar peers suggest a capacity for self-help. Isabelle Kocher, new Chief Exective Officer of French gas and power group Engie, attends the group shareholders general meeting in Paris, France, May 3, 2016. Engie said on Feb. 28 that revenue in 2018 rose 1.7 percent to 60.6 billion euros ($70 billion) and earnings before interest, tax, depreciation and amortisation rose 0.4 percent to 9.2 billion euros. The French gas and power utility said it plans to invest 11 billion to 12 billion euros between 2019 and 2021. The investment programme will allocate 4 billion to 5 billion euros to client solutions businesses and 2.3 billion to 2.8 billion euros to renewables, in order to finance about 9 gigawatts of new capacity. Another 3 billion to 3.3 billion euros will be allocated to grids, with 1 billion to 1.2 billion euros to thermal and supply. 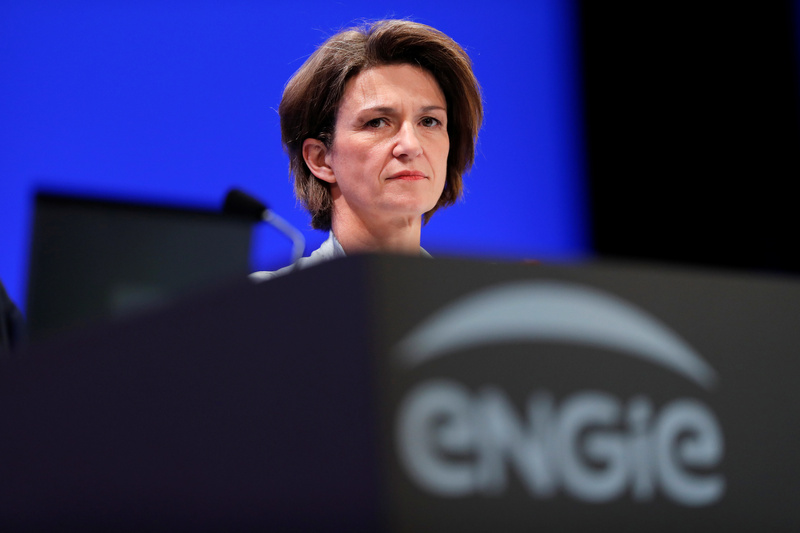 Chief Executive Isabelle Kocher said Engie would in the next three years sell another 6 billion euros worth of assets. Kocher will prioritise 20 countries and 30 metropolitan areas mainly in Southeast Asia and Africa, while exiting 20 countries. Engie shares fell nearly 5 percent on Feb. 28 to close at 13.25 euros.